Miguel Angel Garza is seen in court Friday in Edinburg. EDINBURG — After an early morning call from a city council member, police here released a political supporter who was arrested for a fourth time on suspicion of driving while intoxicated, a third-degree felony. Edinburg police stopped Miguel Angel Garza, 47, at about 2:20 a.m. Thursday for driving 19 miles over the speed limit near the 1500 block of North Sugar Road, according to Garza’s criminal complaint. When the officer approached Garza, he noticed the Edinburg native had bloodshot eyes and was emitting a “strong odor of alcohol from his breath,” the officer reported. Garza was also swaying and had slurred speech. His blood alcohol level registered at .12 percent. In the U.S., a person in considered legally impaired at 0.08 percent or higher. Police arrested him and transported him to the municipal jail, but hours later, council member David Torres called Edinburg Police Chief David White to ask if Garza could be released on a surety bond. Torres did not return a call seeking comment Friday and Edinburg spokeswoman Cary Zayas said he was in a conference with Edinburg Mayor Richard Molina. 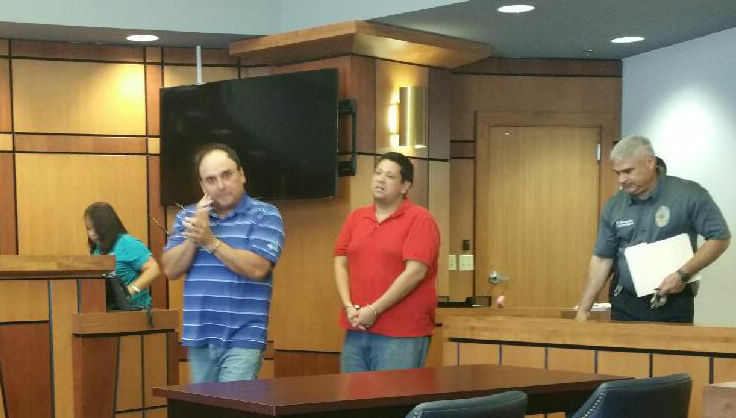 By 8 a.m. Thursday, Garza, an ardent supporter of the new majority on the council, had been released on a promise he would return the following day to face Edinburg Municipal Judge Rogelio Solis. Requests like the one Torres made are not uncommon, White said. Municipal Judge Terry Palacios agreed with White, but added a caveat. The move is so common, that even Palacios has called the police department with similar requests. KGBT-TV reported Palacios stepped in for Hidalgo County Court at Law No. 8 Bailiff Carlos Perez when he was arrested on suspicion of driving while intoxicated in 2016. Perez, however, was a first-time offender, Palacios said. 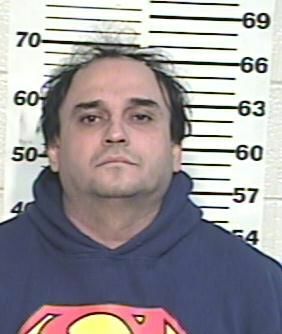 Public records indicate Garza was arrested three other times for the same thing between 1988 and 1991. His latest run in with police happened in 2009, when Edinburg police arrested him on theft of property charges. Garza was convicted of two of the DWI charges and had the other dropped, an Edinburg police officer told Solis during Garza’s arraignment. Solis issued Garza a $10,000 cash surety bond and ordered him to install the device no later than three days after posting bail. Garza, a local Democratic precinct chair, said he would hire his own lawyer. If convicted of the third-degree felony, he could face between two to ten years of jail time, a $10,000 fine and may have to give up his seat as a precinct chair. Precinct chair must be eligible voters, and in Texas, felons are not allowed to vote until after they have completed the terms of their parole or probation. Garza ran unopposed for the position last year, guaranteeing him another two-year term that begins in early June. As chair, he will have a say in nominating a candidate to run in November for the vacant seat left by former state District Judge Rudy Delgado, who is facing federal bribery charges.